Building a living room in your basement can be a great way to free up more space in the rest of your house or merely create a quite place to relax and unwind. Basements are a popular choice for living rooms as they are secluded and quiet. Basements also normally provide a lot of room for a living room because they may be the length of two rooms upstairs. Even if you already have a living room upstairs, fitting a second living space can be great way to get some more private space. Second living rooms are always a good idea for larger families or when you have young teenagers living with you and you are free to create your own basement design. The basement is so separated from the rest of the house that you will be able to create a lot of noise down there and play the television as loud as you like without having to worry about waking up everybody else in the house. When it comes to converting your basement transforming it into a living room is one of the easiest conversions you can do. 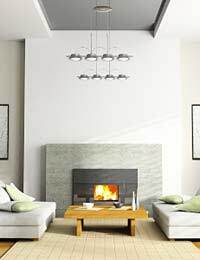 Unlike a kitchen or a bathroom a living room will not need to have a water supply to the room or complex plumbing. You will need to make sure there is an adequate electricity supply down to the basement, as well as adequate damp proofing. Lighting will also be an issue for the basement design, you will need to fit enough lighting to create a natural light effect in your basement design. You may want to consider fitting a patio door into your basement walls if your basement design will allow for it, if you are going to convert it into a living room. There will be a lack of light in the living room so you may want to fit a patio door to open up the room. You will normally not have to do any digging down in your basement to fit a living room because the height of your ceiling will normally be high enough. If you are going to fit a living room in your basement then you may want to create an adjoining staircase from your house into the rest of the basement, if you are going to use your basement on a daily basis you will need to install a proper staircase. There are very few downsides to fitting a living room in your basement renovation. The biggest problem that you will come across is making your basement warm and free from any damp. This should easily be achieved if you make sure you damp proof the room and fit the adequate insulation into your basement walls. Without a proper staircase in your basement you may find it hard to move furniture into your basement, you will need to create some form of access point so that you can transfer things into your living room such as a sofa and chairs. A living room in a basement renovation is a great accessory to any home. You will not only free up more room in your house upstairs but you will be able to take advantage of the space and seclusion of your basement and have the freedom to create your own basement design.